Immuron Limited (ASX:IMC | NASDAQ:IMRN) today announced that sales for its commercially available products, including Travelan®, surged by 66% in the third quarter. Immuron is an Australian biopharmaceutical company focused on developing and commercializing oral immunotherapeutics for the treatment of gut mediated diseases, including Travelan®, its over-the-counter gastrointestinal and digestive health supplement. Worldwide product sales reached $616,000 in the quarter ending March 31, up from 371,000 in Q3 2018. While sales for the year to date hit $1.7 million, up 23% from this time a year ago. 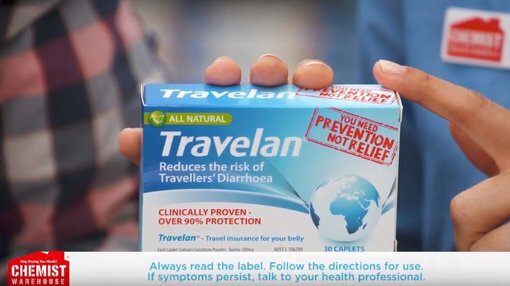 In Australia, Travelan® sales rocketed to A$332,000 in Q3 FY19, representing a 73% increase over Q3 FY18 (A$192,000) demonstrating that efforts to raise consumer awareness of the brand through expanded co-operative Marketing initiatives with major Pharmacy banners have impacted positively on sales. Sales for the year to March 31 of Travelan® in Australia exceeded the A$1 million mark and are 18% higher than the same time last year. In the US, Travelan® sales surged ahead growing 60% YoY to A$266,000 for Q3 2019 as the partnership with USA’s largest travel medicine network, Passport Health continues. Sales of Travelan® on the Amazon Platform are also steadily increasing. YTD March 31 US Sales (A$635,000) are sitting 27% higher than the same time last year. Dr Gary S. Jacob, CEO of Immuron, said of the results, “Our concerted focus on expanding sales growth of Travelan® within existing markets, coupled with our re-entry into Canada puts us in a strong position for continued growth. Today’s announcement follows news last week that IMC plans to pursue clinical development of IMM-124E, its bovine polyclonal antibody drug candidate to prevent travelers’ diarrhea, through a formal FDA registration pathway.